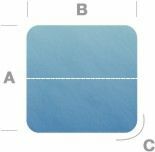 Hot Tub covers - your at the right place! 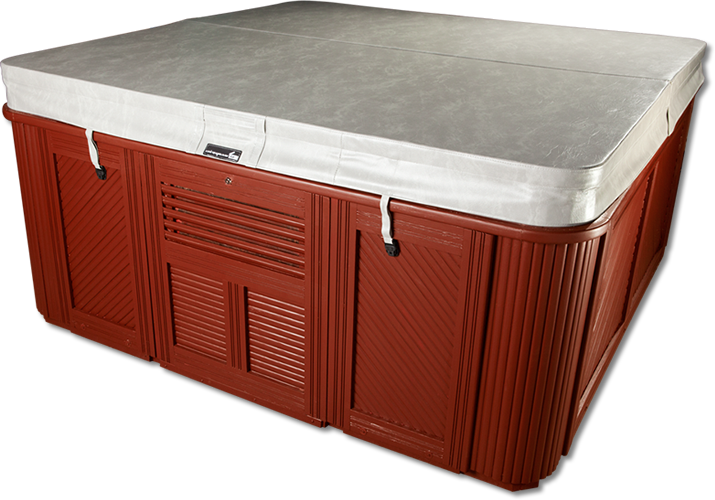 Our spa and hot tub covers are custom manufactured by our highly trained and experienced staff that is dedicated to providing you the best hot tub cover on the market! A good fitting spa cover keeps your hot tub efficient and can savesyou up to 70% in operating costs. A good spa cover will pay for itself. It reduces heat loss, keeps the chemical readings from fluctuating, and it extends your equipment life. It also saves you time by keeping the maintenance at a minimum. Please enter the size, in inches, of your current spa or spa cover. 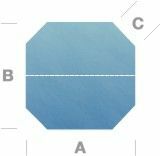 In order to ensure your cover fits your spa as it’s currently positioned, please be sure to follow our diagram for determining “A”, “B”, and “C”. 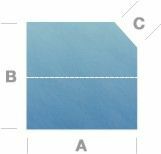 “A” is the side that is cut by the fold of the current spa cover. 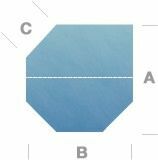 “B” runs parallel to the fold of the current spa cover. 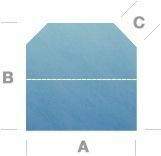 “C” is the measurement of the corner. If you have any fraction measurements, round up to the next inch.